﻿ SHADO Writers Guild - new challenge? SHADO Writers Guild › Fan Fiction › Challenges › new challenge? 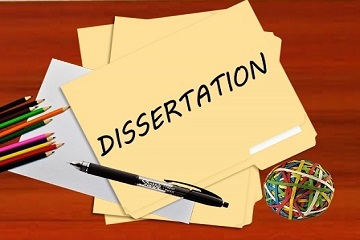 My names is james and I am a professional Content and Dissertation writer at DissertatioonBoss.com, I have been working as a Disserrtation writer for 5 years. Student can get the writing services. UFO inspires me to write. Re: new challenge? What do you think of the following? Hi there everyone um i hope as a fairly newmember its ok to suggest a challenge.. it is..oh good. "Well I Headed up shado, they apparently saved the day. only for you to have to fight our alien namesake. The shados here and now"
Commander straker could be talking to Commander Jeff Sinclair or even Delenne. I'll leave you to decide the exact plot. If you like would you prefer a round robin on this a few chapters from various writers. I would have posted Lines today, but it didn't seem appropriate as Ed Bishop died on this day. I'll put it up later tomorrow, otherwise I'll carry on tinkering with it and then I think it will lose its immediacy, and become trite. Honest, truthful comments and criticisms will be welcome. Location: Off the deep end! I've started mine but not much more than that. It's been a crazy week and I'm stuck in that awful place where life won't let me write! I'm trying to keep up on the board, I'm behind here as well! What do you mean, we're out of coffee! Look Denise. Be nice to me. I'm married. I've got my man. You're still stuck in FarSight. And I could leave you there! Look, you! Don't get cocky now, just because you're married to The Man! Some of us haven't finished the last challenge yet. Or even started it! So cool it! Applications and CVs to; ???????? Look. I'm feeling smug because I actually managed to do a story. Oh yes... and I have only half the number of classes to teach now, as Year 11 are off on study leave, and at the end of June Year 10 are on Work experience so I will be free every afternoon!! Oh it's such a hard life, teaching! Okay Denise.... In the next one... which I will start WHEN I have finished AfterMath, Straker gets arrested for drunken driving, Alec discovers that he is actually gay and Paul Foster,? well.... that would be telling now, wouldn't it! Just tweaking it a bit more Matt. then I'll see if my Beta reader approves.! then...i'll post it. I'm not doing another sad story for a long time. To answer your question Louise I would say it be left to the whim of the writer. Amelia has hers up on fan fiction already, great read! Page completed in 1.0089 seconds.